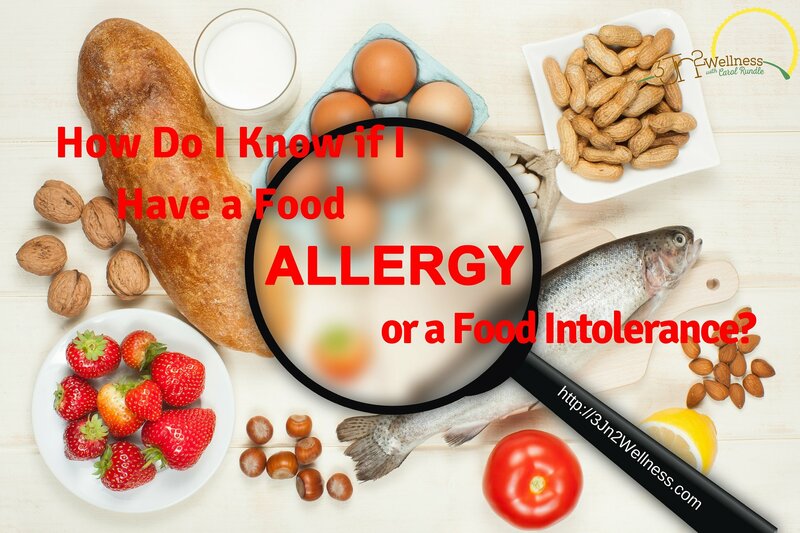 You are here: Home / Wellness / How Do I Know if I Have a Food Allergy or a Food Intolerance? How Do I Know if I Have a Food Allergy or a Food Intolerance? How do I know if I have a food allergy or a food intolerance and what’s the difference? A food allergy is when the immune system engages right after you have consumed, inhaled, or touched a food you are allergic to. The reaction is immediate; it could be a rash, itching, swelling, dizziness, vomiting, teary eyes, tight throat, etc. An IgE test (immunoglobulin E) will tell you what allergies you might have. It is important to stay away from food, pets, and molds that we have an allergy to as they over-stimulate the immune system and cause inflammation. Food intolerance symptoms take 30 minutes to 3 days to manifest and the symptoms are varied (see below) and cumulative. While there are blood tests for food intolerances (MRT or Mediator Release Testing, ELISA or Enzyme-Linked Immunosorbent Assay commonly called IgG testing, and ALCAT or Antigen Leukocyte Antibody Test), you can also test for food intolerances yourself. If you are suffering from any of these symptoms, I recommend that you first utilize the Be in Health Eating Plan to eliminate as many of your symptoms as possible. If you find you are still experiencing some of these symptoms after a few months following the BiH plan, then I recommend either MRT testing ($395), which tests for 150 different foods, or following the Be in Health Food Reintroduction Challenge. The Food Reintroduction Challenge (FRC) is a coach-guided eating plan for those whose symptoms’ cause has not been identified. 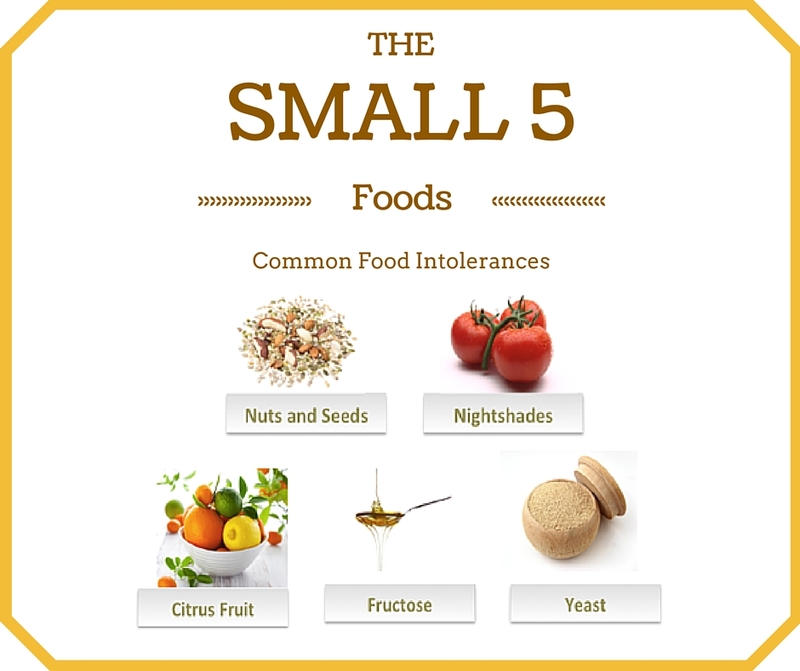 The purpose is to eliminate the 5 major known food triggers, as well as the 5 minor known food triggers. Then you will begin adding the trigger foods back to your diet in a planned manner. You will gain clarity on what food is causing your digestive issues. You will give your body a break from food that is known to be hard on the digestive system (whether you are intolerant or not). It’s a form of a gentle detox – feeling lighter, brighter, and sharper is a typical outcome. At least 70% of our immune system is located in the gut lining. This means that a healthy gut contributes to our overall health, and an unhealthy gut leads to a myriad of health problems. How do I know if I have a food allergy or a food intolerance? Sometimes, it’s a process of elimination. This isn’t something I have to deal with, Carol, but I know a lot of folks who do. I’m going to send this link to them! I know they’ll find it helpful. Thank you! Thank you for passing it on, Susan. I hope it helps your friends. Well-researched, as usual, Carol. But I sometimes wonder if gluten intolerance or allergies isn’t just the latest fad. And yes, I’m aware of celiac disease. I know food allergies can be serious; my sister is allergic to mushrooms and peanuts and ingesting them can close her airway. Scary stuff! As knowledge of some issues picks up, sometimes they are blown out of proportion and blamed for everything from cancer to ingrown toenails, but that doesn’t negate the initial problem. Hopefully, this sheds more light on the subject. 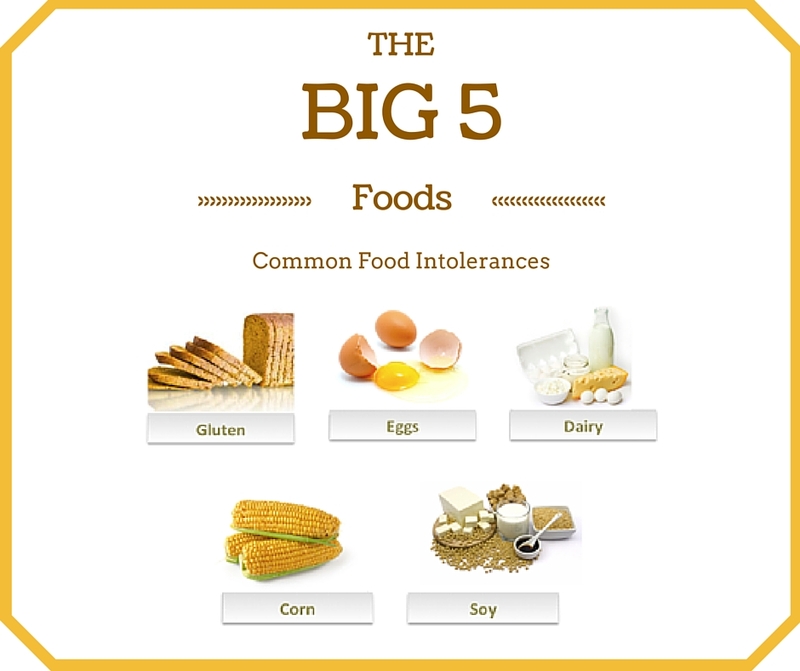 It’s amazing how a food intolerance can creep up on you, isn’t it? Allergies usually have obvious and immediate symptoms whereas an intolerance could be put down to other things. It took me ages to realize the negative effect too much bread was having on my body because the symptoms were not immediately obvious. This is great advice for those who are not sure. I know exactly what you mean, Tamuria. I’ve experienced the same thing. I’m glad this helped. I must confess… I love food and usually NOT the healthy good for you stuff either.. but the stuff that tastes good and/or have alcohol in them.. quite honestly I WISH I were allergic, to.. something… but alas.. nope. Though I don’t envy those who are. I used to be the same, Kristen, loving and eating all the wrong things. But once I decided that I wanted to be healthy for the rest of my life, making the change was easy. Only then did I realize how tasty real food is. When your taste buds are tricked by sugar and alcohol, etc., you can’t taste it, but once those are gone, your body knows what’s good and what tastes good. One thing I’ve learned is that a lot of our current food insensitivities are due to the quality of the food, not necessarily the food itself. I remember a man I knew who thought he was allergic to milk products and yet when he switched to organic dairy products, he was perfectly fine with them. This would be especially true with GMO grains as well, I believe. I’d say we are creating a population that is experiencing more and more food issues, especially when I hear that many schools now ban not only peanuts, but so many other foods because of children who are intolerant to them. Thanks for the well-researched article, Carol. Great information for those who just aren’t sure if it is an allergy or an insensitivity to a specific food. You’re welcome, Beverley. And you’re right, we are creating our own problems. I have several food intolerances. I found out when I was a freshman in college and have modified my diet because of it. Since then, I have tried to stay as close to clean eating as possible. It seems to work best. Thanks for sharing your knowledge. Sometimes, food intolerances go away after staying away from the offending foods for a while. You could always test it (under doctor’s supervision, of course). I’ve always had some digestive upset and it’s hard to know exactly what’s causing it. There are many GMOs sneaking into things, food isn’t what it used to be. Your list was so comprehensive and people seldom see mental or behavioral changes as having any connection to food, but it’s been proven repeatedly. A healthy gut really is the center of a happy person. You’re so right, Meghan, about our guts being the key to our overall health. We really have to be vigilant these days. This is a very helpful article for someone who suspects she/he has a food intolerance or allergy. So many people react badly to particular foods and others have no clue what foods are causing the problems. Your advice is well worth reading. Thank you, Beth. I’m glad you enjoyed it. So glad I don’t have any food allergies or intolerances. Many years ago I was allergy tested for everything to deal with asthma & frequent upper respiratory condition. After 10 years of shots, my asthma disappeared, but I take seasonal Allegra. I’ve been reducing my sugar & carbs intake for a long time & now working on moving my body. You’re so fortunate that your asthma is gone. Sounds like you take really good care of yourself. Wonderful information Carol. I think it’s important that people test out what they can and cannot tolerate through elimination. But as you say, symptoms may not appear for up to 3 days! That makes it very difficult to figure out on your own. There are so many foods that could cause a host of problems. Clean eating and always the best way to go of course. I’m glad you enjoyed it, Lisa. I guide my clients through an elimination plan and then a food reintroduction challenge to help them figure out their intolerances. I noticed, Carol, As I’ve gotten older that I don’t tolerate some foods, as well as I did when I was younger. Have switched to almond milk, and can tell the difference if I go back to regular milk with cookies (sorry almond milk with cookies just doesn’t work). I’m sure some of the reactions are also due to the toxic residues that some foods now carry. Yes, our bodies do change over time, Joyce, that’s why many times we can go back to foods that previously bothered us if we give it enough time. I am so glad this is something that I do not have to deal with in my life, thank goodness! But I do know so many people , including my mom, who have allergies to Gluten. Thanks for sharing this very informative post 🙂 Good to know! So many people have problems with gluten. I’m glad you found the information helpful. Carol – this article is very informative. I remember sitting in a physiology class in 1991, and my instructor stating that 5 years previous (so, mid-80’s) the entire immunology portion of the class would take a couple of hours, and there would be only a few pages total in our text addressing the subject. What with the proliferation of AIDS, there has been a huge focus on learning all we can. We still have an enormous way to go, what with auto-immune processes causing some kidney failures, rheumatoid arthritis, etc. You have presented this in an easy to understand format; thank you. Research and knowledge have certainly come a long way! I’m glad you enjoyed the article. Thanks these seem like good tips if you have prblem with food allergies. Food intolerance shows up for me in the form of dairy – and causes bloating and such. I no longer succumb to dairy – ridding of milk was easy as I learned about milk acids and that was a turn off, not to mention the poor treatment of animals. I am always interested to learn about foods and the best for my body. I am especially careful about man made foods and the way foods are chemically infused. Thanks for educating me even more, I really appreciate the info. Glad you’re taking control of your health, Teresa.